Limited availability of additional land for crop production, along with declining yield growth for major food crops, have heightened concerns about agriculture’s ability to feed a world population expected to exceed 7.5 billion by the year 2020. 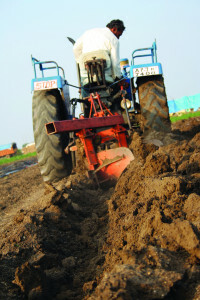 Decreasing soil fertility has also raised concerns about the sustainability of agricultural production at current levels. Substantial improvement in the productivity of agricultural systems is required to support growing rural and urban populations in the developing world. Because of strong pressure on land resources, agricultural intensification of existing production systems involving increasing cropping intensity and/or increased use of external inputs is often the only way to increase agricultural production. There is, however, a broad concern about the sustainability of agricultural production systems in many developing countries. Sustainable agriculture, as defined by FAO, means agriculture that conserves land, water, and plant and animal genetic resources, does not degrade the environment, and is economically viable and socially acceptable. Thus sustainable agriculture manages and uses natural resources to meet people’s needs both now and in the future. Much currently cultivated land (estimated at 5 million to 7 million hectares) is being lost through soil degradation, be it soil erosion, nutrient depletion, desertification, deforestation, salinization or overgrazing. 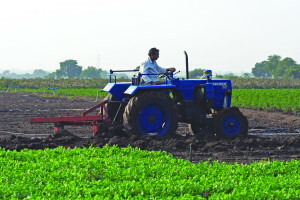 As agricultural areas become even more crowded, arable land is likely to come under increasing pressure. Agricultural yields could fall as land becomes more degraded, putting the livelihoods of millions of subsistence farmers at risk. Integrated soil fertility management (ISFM) is the key in raising productivity levels while maintaining the natural resource base. ISFM aims to replenish soil nutrient pools, maximize on-farm recycling of nutrients, reduce nutrient losses to the environment and improve the efficiency of external inputs. This online training course will present ISFM strategies that address these objectives. Its major focus is to give participants an understanding of a validated and participatory approach to designing and implementing effective ISFM programs. It will provide a wealth of information and practice on ISFM program design as well as specific agronomic and non-agronomic components of an ISFM program. Agronomic components dealt with include improved crop management practices, measures to improve soil organic matter maintenance, and the combined use of soil amendments, organic materials, and mineral fertilizers to replenish soil nutrient pools and improve the efficiency of external inputs. It will also examine such equally important non-agronomic components as support for rural credit systems and market-oriented institutional changes, farmer training, and improving linkages between research and extension support institutions. This approach pays particular attention to looking at ways to adapt ISFM options to the agronomic and socioeconomic needs and interests of farmers. It is based on the lessons learned by the staff of IFDC – An International Center for Soil Fertility and Agricultural Development. IFDC has almost 30 years of experience in increasing agricultural productivity in a sustainable manner through the development and transfer of effective, environmentally sound plant nutrient technology and agricultural marketing. How to apply a participatory approach to designing and implementing an ISFM program. What soil fertility means and what makes a soil fertile and productive. How to identify soil nutrient problems and opportunities. Soil fertility enhancing strategies that maximize profits and agronomic use efficiency. Methodologies and tools to assess suitability, economic feasibility, and impacts of ISFM on agricultural production, soil fertility, and the environment. The course can be used as either a reference tool or as part of a structured learning exercise. A tremendous amount of information on soil fertility management and how to develop ISFM programs is now available through the Internet and participants will find numerous links to these resources.